We are thrilled to announce that InterMarine, Inc. is the official new local dealer for Miami-based Belzona Marine. Belzona boats embody the upscale coastal lifestyle Miami is known for. Belzona boats are truly unique in every sense. They are both traditional and revolutionary. They are elegant. They are comfortable. They are, indeed, all-purpose boats. Belzona began its story in the 1950s with a focus on marine repair products. The company, founded by Jorgan Svendsen, built an international reputation as leaders in the marine metal repair industry. One of their claims to fame is the famous “Belzona 1111®” Super Metal. From this marine-loaded DNA the Belzona Marine company was born. Joel Svendsen, Jorgan Svendsen's son, is driving the Belzona boat company forward with a pure passion for boating and bold innovation. The team he has built at their manufacturing plant in Doral, Florida is as dedicated and imaginative as he is. They form an impressive collective of marine experts. What is truly amazing is how the company manages to marry a fresh new approach with endless wonder and old-fashioned charm. Belzona's Senior Designer, Karl Boehler, is a low-tech guy with a solid grip on how to design a boat that is fantastic and not at all average. He and Joel design boats the old-fashioned way: behind a drafting table. They build real-life mockups. They really experience the boats they design. 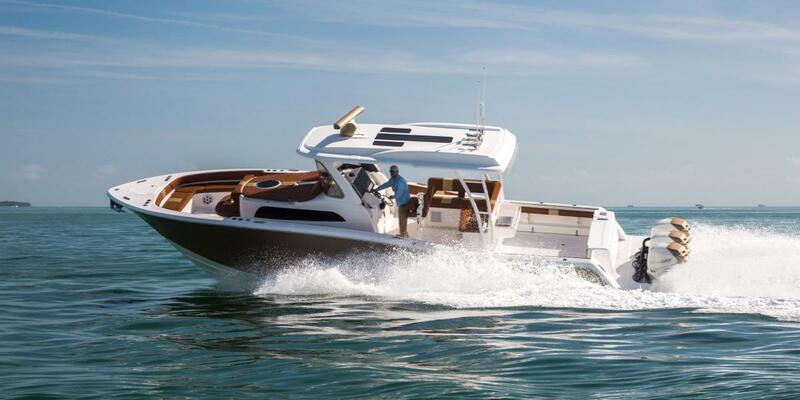 The result of such a hands-on approach to boat design is a series of boat features that, quite simply, are incredibly comfortable. InterMarine has always been at the forefront of boating trends. Our long and well-established footprint in the boating community is a testament to our' ability to identify unique brands -both new and established- that present a strong value to the consumer. Every brand we represent brings something unique and valuable to our customer base. Belzona Marine fits this mold of forward-thinking, creative boating manufacturers that we are proud to represent. We invite you to explore Belzona Marine inside the InterMarine showroom and talk to us about your boating needs. We live and breathe boating, and we want you to join us.